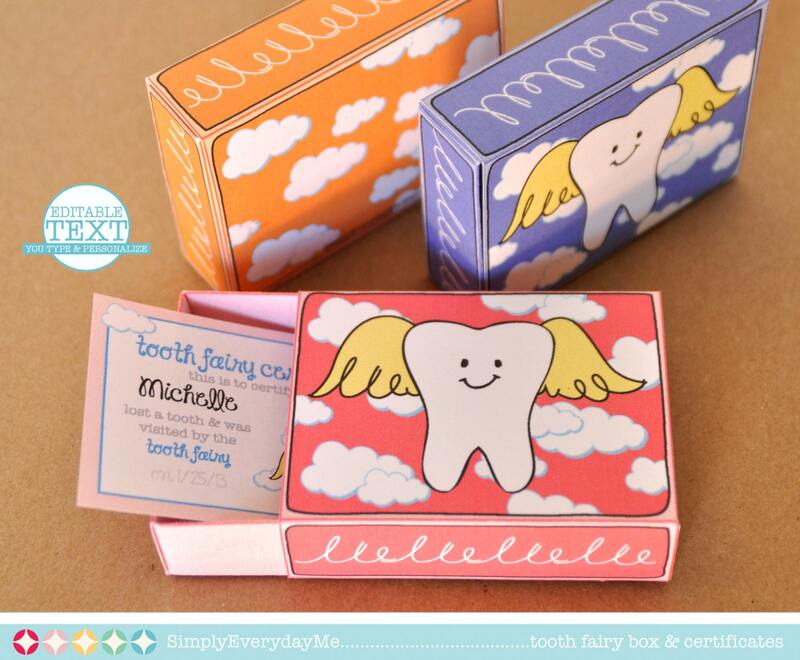 (¸.·´The delightful “tooth fairy” & clouds are illustrated, on all sides of these brightly colored boxes. 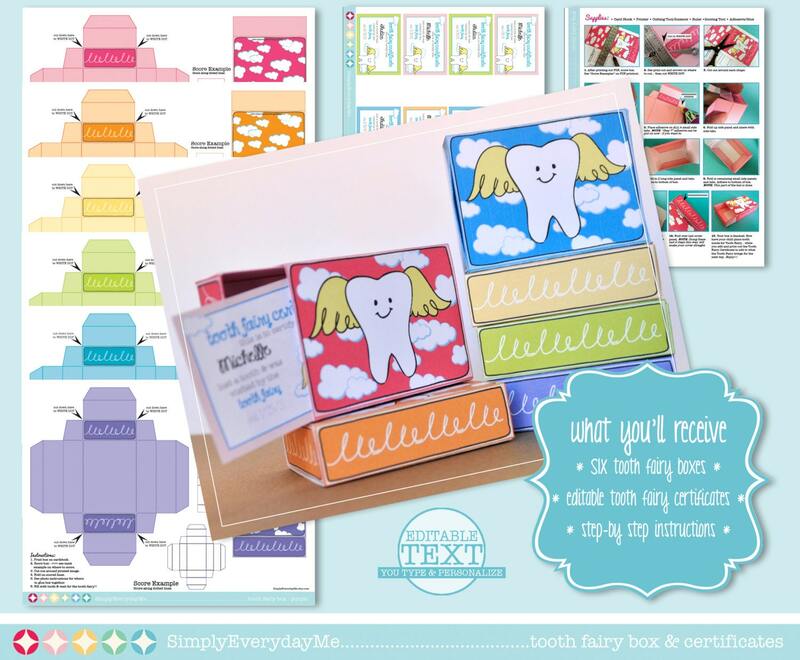 This kit includes: 6 colorful Tooth Fairy drawer boxes ★ EDITABLE tooth fairy certificates ★ full color step-by-step ★ Instructions, Plus Information for materials need & paper suggestions. When assembled, box measures: 2.75” x 2” x 0.75”. 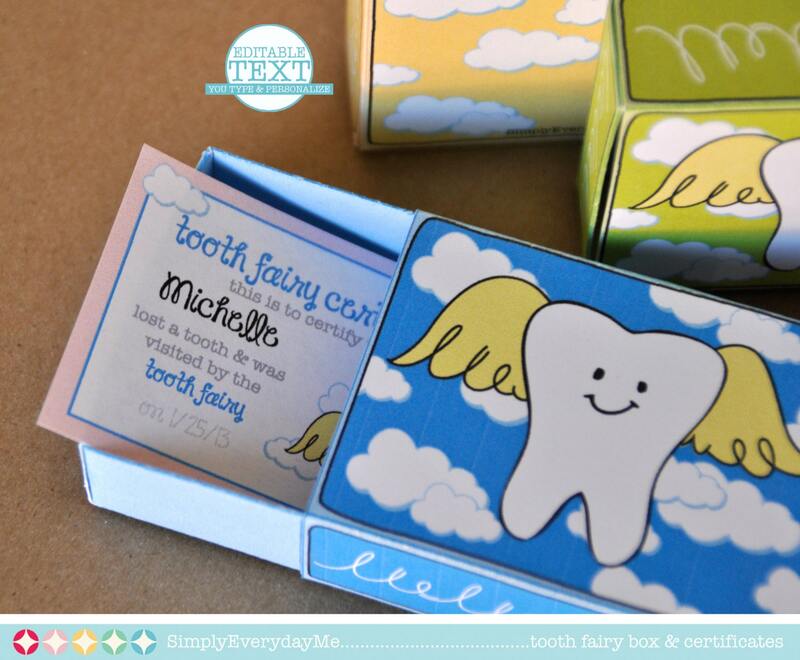 wiggle... jiggle... to & fro... a tooth comes out... for the Tooth Fairy's visit…! 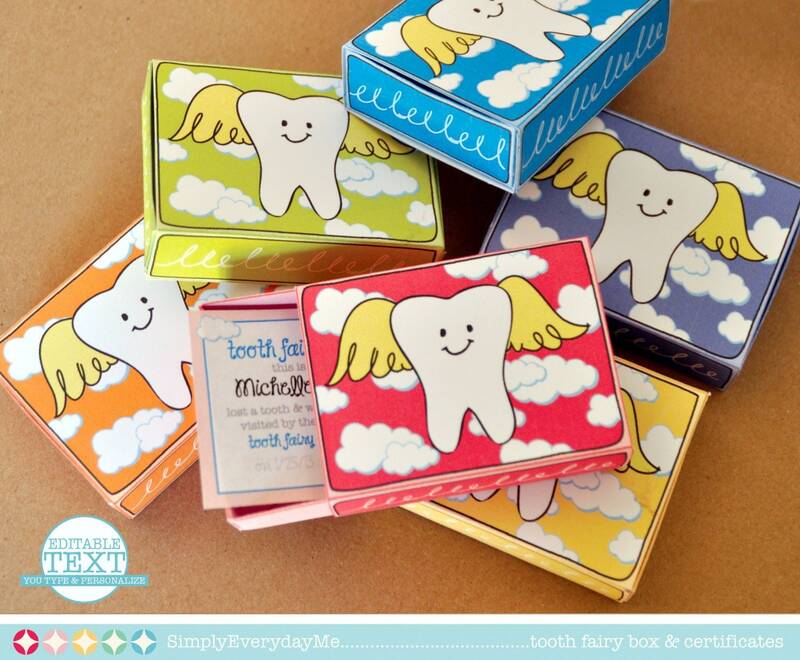 Kids will love these SIX brightly colored boxes for their Tooth Fairy visits!! They’re an ideal size for your kiddo’s prized tooth... and just right for a little something extra for that little white nugget of a tooth! 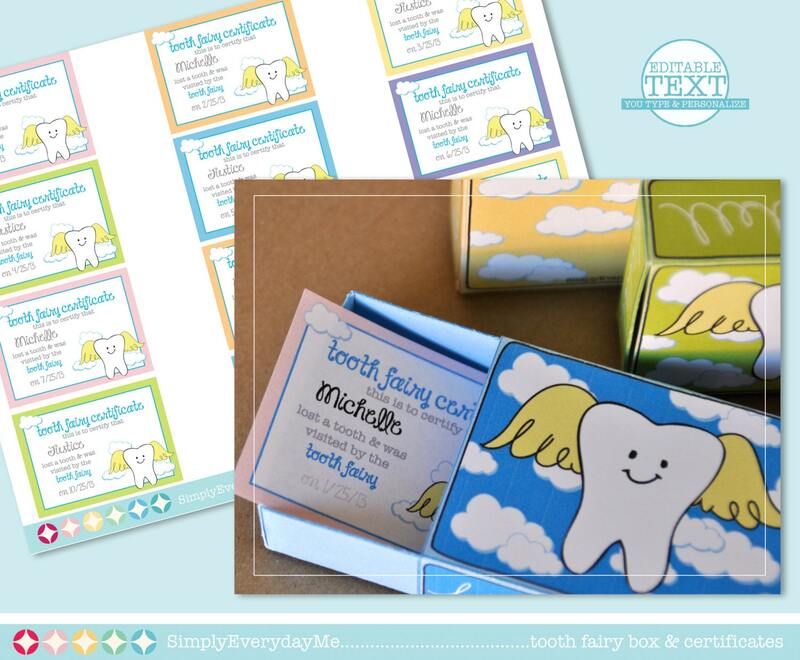 You’ll enjoy using the Editable Tooth Fairy Certificates.... for whenever a tooth comes out (or is extracted). It fits perfectly inside the box... for an added treat from the Tooth Fairy.... to make them smile with joy!unforgettable memories. Daughter loved it! Wish it was a illite easier to assemble but that might just be me. Cute design and love all the color options.